Don't think about tomorrow, live in today: Suhasi Dhami. Tellybuzz in talks with Suhasi Dhami a.k.a Aabha of the famous daily soap 'Yahna Mai Ghar Ghar Kheli'. Take us through your life in your daily soap 'Yahan Mai Ghar Ghar Kheli'. Aabha is a very simple girl as you'll know; she has always stood for truth and her family. She has fought every fight with confidence and she believes in herself and follows the path of truth as a typical Rajshri heroine. 'Yahan Mai Ghar Ghar Kheli' is a typical Family drama; did you ever expect it to be so successful? Yes it is a family drama and the actors in our show are very good, skilled and established and where such talent flows the show is expected to do well. As well as Rajshri has good name due to its excellence in work. It has been nearly 2.5years with this show and I am very delighted. Was there any point during the shoot when you felt - why did I select this show? No, Never have I ever felt so because I have an amazing role which I play. I am surrounded by talented actors and excellent producer and his team . Such thoughts just do not exist.(smiles). Are there any similarities between Aabha and Suhasi? Well as Aabha I am a very patient, very understanding and loving person who always follow the path of truth and respect. Whereas being Suhasi am from the urban culture that is very loud and not patient. Both the characters are totally different and this reel life makes me learn a lot in real life too. If your character turns out to be negative, would you still play it? Yes I would definitely play that role too but the fact stand the role of a girl like Aabha cannot go negative. How is your association with the production house? Superb is the word. I don't think any actor would ever have any problems when working with 'Rajshri production house'. It is amazing and I am lucky to be a part of the show. Be it money or holidays or late shoots, I never have to worry about anything. I do get money on time and whenever I need holidays they are given (work is adjusted). Can you share on most memorable experience from the show? Well the people here who are associated with the show are just amazing. Every single day on the sets IS memorable and that is what adds to my experience. Which is the acting that you always wanted to do? Every actor wants to explore, so in any role I would try to give my cent per cent and entertain the audience. I basically was into dancing and my mother was a Guajarati theater actor. I used to always go and watch her plays as I liked them. Then I clicked a portfolio and started giving auditions. I initially started with ads first and then landed up doing shows too. Which is the quote that you follow in life? 'Live and let live' because when you experience so many phases, its then you realize what life is. According to me don't think about tomorrow, live today to the fullest. What would you like to say to your show viewers? I love them all, they have been very honest and faithful to the show and I really appreciate that. Their love and support makes us actors work harder and we try and fulfil their expectations. In other words 'They are our supporters and make us what we are today'. Thank you all and love you all. sweetynawal, Nouf88, beehive, HemantSingh.79, Avinakshi, udv224, paheli9, pujitha14, diyarocks, crazyamu11, palompa1, ms.pm, Soupz, ashoo_butt, halfsona, raynalnandini, meera_nair, SGKG, --sonali--, everydayirabave, charmz517, Nishta06, avi_k_, kinny_ranvir, Seema_sg24, 100prabh, Varun.srk, pkaur92, CrystalSaya, ..NiShti, bubblycool, Rozy77, ThruMyEyez-Nita, Priyya0511, Shas3, jakther7, -Nirvana-, rubysk, anu_sakshi, KissTheSky, samicute, Zaalima, Ethereal-Path, Tyro, RageOfAnAngel, sahil70, alicia., aarcha, karsuh, .HandsomeBanana, rechus, -Araina-, love_karanabha, -chrys-, VishaD. 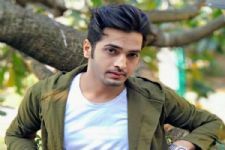 The Cast of Zee TV's 'Aapke Aa Jaane Se' Went All DESI! 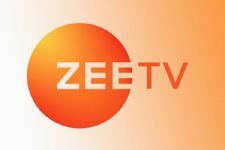 'Suryaputra Karn' actress Alice Kaushik to enter THIS Zee TV show! Turbulent times for Bade Acche Lagte Hain! Thanks Suhasi for your perfect acting as Aabha and Albeli on YMGGK and your wonderful chemistry with Karan and all the best in your future plans. Nouf88, tamimomari, ArmstrongBeer, pujitha14, ThruMyEyez-Nita, -Nirvana-, karsuh, VishaD. Nouf88, tamimomari, pujitha14, SGKG, ThruMyEyez-Nita, -Nirvana-, karsuh, VishaD. vish93, tamimomari, -Nirvana-, karsuh, VishaD. love you Suhasi!!! Keep on rocking as our Abha! !